Which are among the best board games? What makes a great game?There is a decline in board game popularity and shrinking "down time" with families. Electronic apps and games seem to add to the disconnectedness of siblings. Grandparents worry about grandchildren drifting away from them. Moms struggle to provide activities that the kids can bond with and not retreat from. Family game nights we grew up with provided a reason to interact. In this age of ever evolving technology, it seems like everything needs an instruction manual to get started. I do not know about you, but I am getting tired to having to turn pages written by some tech person just to figure out how to begin something. Thinking back to the simple joy of playing games like "Candyland", "Aggravation" and "Sorry", our parents placed it on the table and a way we went! (Granted we were very young and easily amused, but all ages can still have fun together as little ones find joy again in discovery and older ones re-live some pleasantly simple times.) In any case, you want to play right away! Bridged the generation gap with technology AND "time tested" retro board game fun? Where everyone is involved and you had unlimited outcomes from the different personalities and levels of skill between the players? Everyone could have a chance to win mostly due to luck and the roll of a die, but have the game actually set the stage for an activity like taking photos together? When you could use a good laugh and a good photo. How about a game that grants you permission to take photos together? One that let's families say "okay". People desire good family photos but it is hard to grab the attention of most kids. The game can provide the atmosphere to put taking photos on "auto-pilot". Maybe they have a camera phone, maybe you want to use yours? What if you could also use your new tablet or iPhone with it? 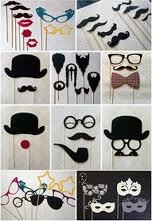 What a great excuse to mix it up around a table and take photos together. Simple and easy with almost NO starting instructions, the action is guided along the way with PoseCards, (cards that players draw randomly and contain popular portraits poses that some are silly and some are serious) and provide opportunities to use photo booth props. The board has landing spaces designed to warm up a normally camera shy and "photo allergic" person. For those who love taking a ton of "selfies", the game provides the structure to create a great playing field with no end to the creativity and imagination of the players. Everyone gets drawn into the fun! Maybe Board Games Aren't Done? All ages can learn to use his or her camera of choice and where kids get to be kids by letting them do what they do best, dress up, act goofy and make silly faces but when they least expect it, take a really great natural photo. Virtually no set up. Fold out the game, put out the selected photography props, put out the "PoseCards", deal out the "Skip Me Cards" and roll to see who starts! Parents want educational activities for their kids. Board games make learning fun. 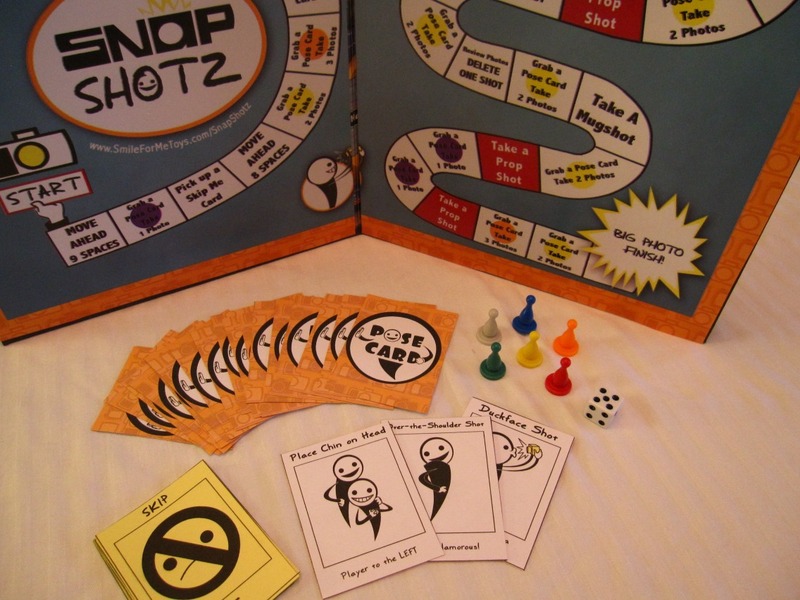 The SnapShotz Photgraphy Board Game provides Moms and others the challenge of taking great photos together with a great atmosphere. Span the generation gap in your family, reconnect some siblings, and put your digital camera, smart phone or tablet to use on an old-fashioned table top game and all the while, re-discover some simple joys of sharing some laughter and learning. It could be a game that matters.